A member of our Relish team, designer Robyn Woodcock, was awarded an Honourable Mention in the 2016 Alcuin Society Awards for Excellence in Book Design in Canada. 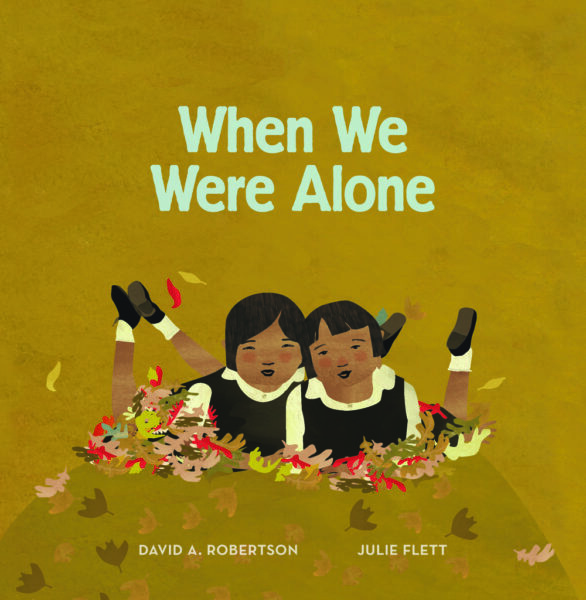 When We Were Alone tackles the tough topic of residential schools, explaining Canada’s history in terms that younger children can understand. Simple but elegant illustration by the talented Julie Flett accompanies the story, which was laid out by Robyn. Another Relish designer, Terry Corrigan, was responsible for the cover design. 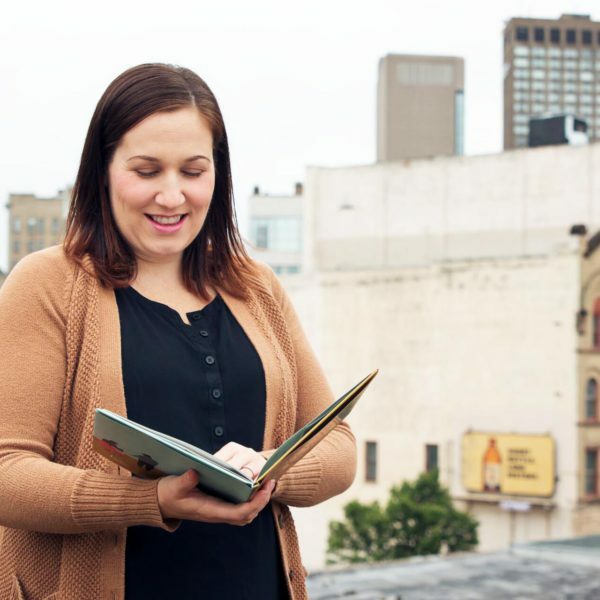 The book was also included in the Cooperative Children’s Book Center Choices 2017 best-of-the-year list of picture books for school-age children. 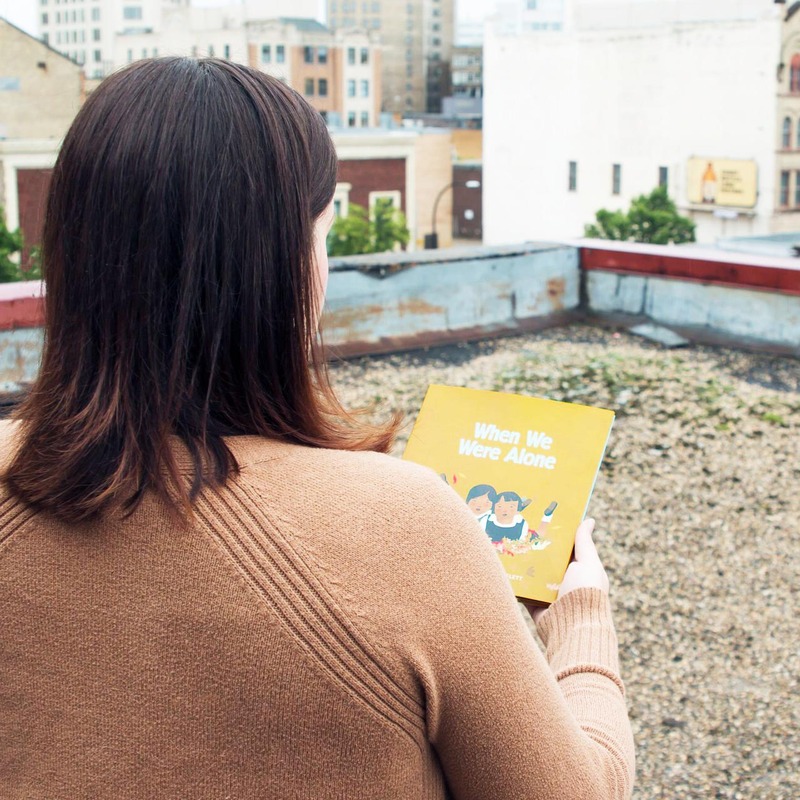 The only national book design competition in Canada, The Alcuin Society Awards for Excellence in Book Design in Canada is the only national book design competition in Canada. Books are judged based on the suitability of their design concept in relation to the content and intended audiences. Elements such as use of colour, type, illustration and photographic styles are considered, along with the text block, jacket, binding, and overall finish. What are your favourite design project to work on? My favourite thing to work on is a book cover. I think it’s an interesting challenge to represent a story with one visual, something that captures the true essence of the book. How long have you worked at Relish and what did you do before that? I have been working at Relish for 12 years. I did my mentorship program through Red River College with Relish, and started working here the summer after I graduated. What are you afraid of that might be considered unusual? I am seriously afraid of squirrels. A squirrel once tried (fairly successfully) to burrow its way into my apartment. That’s where the phobia started, but it’s real… and unfortunate, because there’s no shortage of squirrels out there! What would you want to be reincarnated as and why? A dog! A life that revolves around sleeping, eating and having fun sounds pretty great! Totally… I totally use that word way too often. Super speed!? There are never enough hours in the day.